In the Caribbean, silt and sediment build up in Hurricane Storm Protection marine environments like marinas, waterways, channels, rivers, ponds and lakes, choke the navigation of these waters and make usage difficult or impossible. Traditionally, mechanical or hydraulic dredging is is employed to remove the silt to increase water depth to allow navigation and usage. Many times, though, locations needing desilting are small and difficult to get to, making it difficult to dredge. 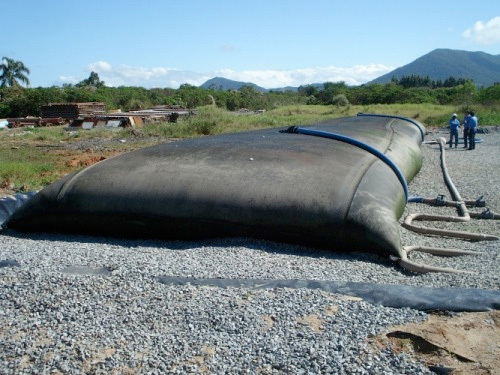 Caribbean GeoTextiles offers a cost effective and more practical solution that involves the use of Geotextile tubes and bags to Hurricane Storm Protection dewater sludge, especially in these tight areas as the bags and tubes only require a small laydown area and can even be stacked to create an even smaller footprint. Environmentally friendly GeoTextile tubes and bags have even been used in parking lot or other vacant area adjacent to the water body allowing the clear decanted water to be returned to its origin. Once the bags or tubes have been dewatered, the sediment or sludge is removed and properly disposed of, or used for land reclamation, and the site is easily restored without damage to the environment. The use of GeoTextiles in the environment for marine sludge dewatering is fast becoming the industry standard method. Contact SDMI dba Caribbean GeoTextiles click here.